Our Manhattan Beach center is a place where may patients achieve overall physical wellness, as well as the means to maintain it for the rest of their lives. 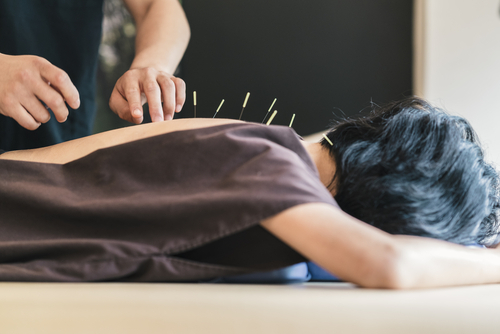 We at Proactive Chiropractic & Sports Medicine are devoted to ensuring that every client manages to shed their pains and aches before they walk out our doors, and acupuncture is one of the treatment methods we use to that end. You have probably seen people having needles stuck in them, in what is essentially an eastern medical technique. While this may seem painful from the outside, it actually alleviates any pain the person is already carrying. Our expert acupuncturist can insert medical needles into your skin without causing noticeable pain because that is what he or she is trained to do. For the uninitiated, acupuncture involves realigning the imbalanced “Qi” or life force in a person’s body. The needles are inserted at specific points to redirect the flow of Qi, and this mitigates and even corrects several health issues the person happens to be harboring. The goal is to restore good health and prevent illness, and at our Manhattan Beach center, we have never failed at either. Your first visit would include us getting your medical history and other details from you. This still is not enough to work with, so we conduct a physical examination, wherein your body type, the luster of hair, posture, skin tone, etc. are noted. We then check your breathing and voice, as well as your pulse. This is followed by standard questions about your diet, sleep, pain, sweating, sensory function, and digestion. After all the information has been gathered, we assess it to arrive at the best strategy and schedule for your treatment. No detail is overlooked, and we also provide you with tips and assistance that help you get through the day while you are not with us. Your care matters to us, so we help you improve your lifestyle. If all of this seems good, but you do not care for the part where someone inserts needles in your skin, rest assured that this is not the only way acupuncture can be done. There are the alternative method you can pick from, such as polarity devices, frequency approaches, moxibustion, and blood moving approaches. Each works in a different way to restore balance to your Qi, and an expert can help you figure out the one you should go with. Proactive Chiropractic & Sports Medicine proudly serves the South Bay, including Hawthorne, Hermosa Beach, Torrance and Manhattan Beach. Visit us anytime.